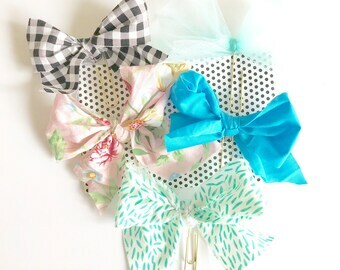 Jumbo bow clips, for your page, are the perfect finish! 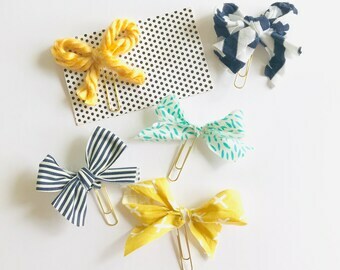 Fabric book clips make reading and holding your place more fun! Large pine trees lining lakesides are my particular favorite in Idaho. That’s what this painting represents. Add a pop of color to a kids room or office! This color combo is my one of my favorites! Blank notebooks are so versatile. 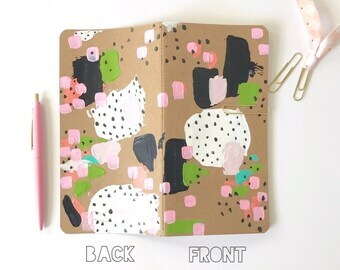 Write or draw, or bible journal or make traveling journals out of them. And you’ll know you have a one-of-a-kind journal that no one has. All painted journals are painted front and back. 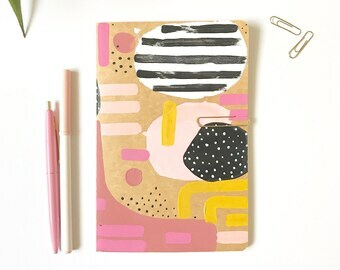 Lots of pretty, colorful journals on sale for cyber Monday! Painted journals are always painted front and back. Dazzling blocks of color for your thirsty wall. Adding color to your walls gives a happy mood! Whether it’s a kids room, office, or main space, color brings cheer and the feeling of liveliness. Color combinations are the most fun. 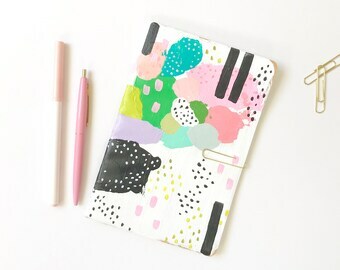 Painted journals are so fun and give a colorful addition to any desk. Journals are always painted front and back. 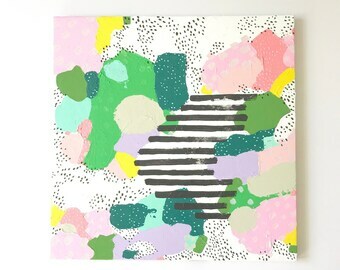 Whether it’s for a kids room, office or a bedroom, cheerful colored paintings add such a unique delight to your space. 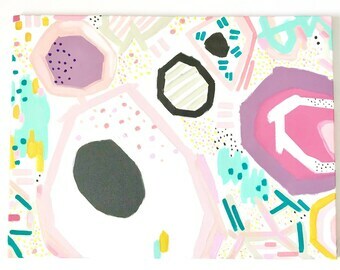 Add some cheer to your desk with a colorful painted journal. All journals are painted front and back. Each are different. Pop of color that’s a little bold and a little soft. 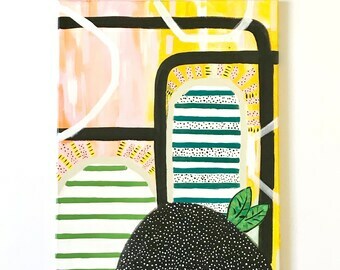 A cheery pop of color for your living space, kids room, or office! So versatile, so fun!!! The Hoopla is made out of a wooden hoop, fabric and leather pockets. 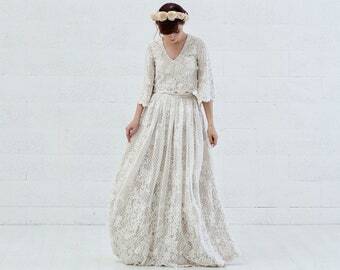 NEW to our shop!!! The Hoopla wall organizer!! We’re so excited about these!! 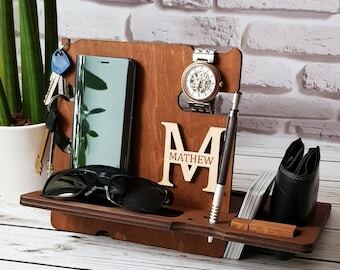 Stick your air plant, phone, iPod, calculator, and other small objects to hold them in one place! Many to choose from!! Painting prices range from $46-79. 12x12: $46-54 18x18: $68-74 18x24: $76-78 Acrylics on canvas. They are not prints. All paintings are ready to ship, and ready to hang! A little late in gift searching? All, here, are ready to ship! It will ship Tuesday, after Christmas, but there’s no week wait before we ship out like our other pieces in our shop. Love this photo by @thestrand ! Small white deer heads are perfect for a kids room, office, or living space. Our newest painting. Ready to hang. Ready to ship. Vibrant pops of color for your living space. Yes! We now carry vintage books! Will be adding more in the coming days. Paintings are all original, and ready to ship. Great to add a pop of color to your space! All paintings are ready to ship next business day. All are original. Acrylics on canvas. Ready to ship next business day. We have only 1 of this kind of bear with this modern camouflage design. Done by Mark-Anthony. 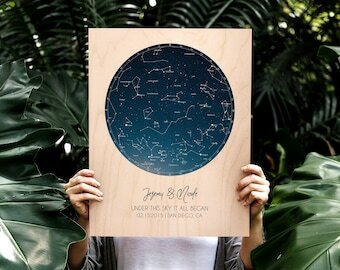 Great for an adventurous boys room, man-cave or wherever you want a little uniqueness! Large horse wall mount is so lovely for a kids room or any living space. Can come in any color you see in our shop. Just type your color choice in the box at checkout. 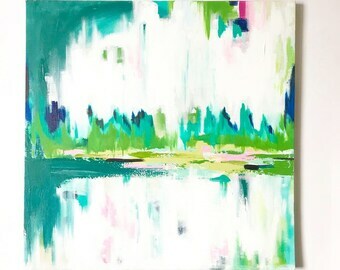 Original 12x12 painting is ready to hang and ready to ship! One-of-kind pieces makes great gifts!! Small deer head and tiger can also be found in our shop.